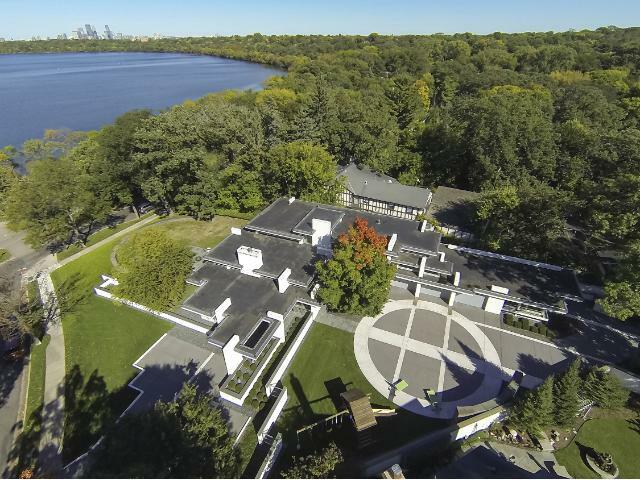 Stunning architect designed residence superbly integrates clean lined contemporary architecture with outstanding Lake Harriet views. Walls of glass complement hardwood floors & accent walls of Douglas fir to create warm, light-filled interior spaces. The delightful high ceilinged great room opens to professionally landscaped lake facing terrace & expansive rear private walled courtyard. The 4+ car garage adjoins a terrific mudroom/service corridor, including kennel room, dog wash & laundry.